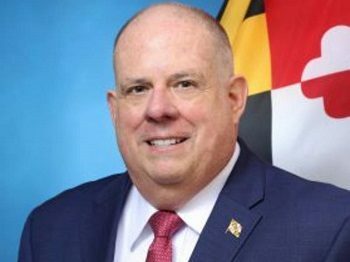 Governor Larry Hogan today announced a series of initiatives, including legislation and new funding, to support Maryland’s public charter schools. Governor Hogan made the announcement at College Park Academy in Riverdale, MD and was joined by University of Maryland, College Park President Wallace Loh, Maryland State Senator Jim Rosapepe (D-21), Senior Advisor to the Governor Keiffer Mitchell, Knowledge Is Power Program (KIPP) Harmony Academy Baltimore Executive Director Marsha Reeves, College Park Academy Principal Gordon Libby, College Park Academy student Darien Ghee, Sean Doordan of St. John Properties, as well as additional local leaders and community members. College Park Academy receives funding from both the City of College Park and the University of Maryland, College Park. Governor Hogan’s recently introduced Fiscal Year 2020 budget designates $2.6 million specifically for construction projects at public charter schools, as well as $1.2 million from the Healthy School Facility Fund, created by bipartisan legislation enacted last year, specifically to fix critical heating and air conditioning issues and other necessary maintenance improvements at public charter schools. The governor also announced that he has introduced the Public Charter School Facility Fund Act of 2019, which will provide $1,600 in per-pupil funding for each public charter school student, to be distributed through the Maryland State Department of Education. Public charter schools in Maryland often face financial constraints that force them to divert resources intended for innovative programs and classroom activities to critical facility repairs. The governor’s legislation will ensure that funds intended to go to the classroom will truly be dedicated to learning. Governor Hogan recently announced a plan to create a $3.5 billion Building Opportunity Fund, which will be the largest investment in K-12 public school construction in Maryland history and is projected to create more than 27,000 new jobs. The governor has submitted legislation to provide $1.9 billion in new school construction funding over five years, which will be bonded through the Maryland Stadium Authority and be added to the $1.6 billion in public school construction funding currently included in the state’s five year Capital Improvement Program for a total of $3.5 billion. Governor Hogan’s FY 2020 budget includes historically high, record funding for K-12 education for the fifth consecutive year. The budget provides $6.9 billion for Maryland’s public schools, including funding above and beyond the levels required by state aid programs, with every school system in Maryland seeing increased investment by the state.